THE FINCH...A Breeder's Companion - takes the reader on a journey covering 70 species with the aid of 400 color plates. Species that are closely related are treated separately but are grouped together in chapters. 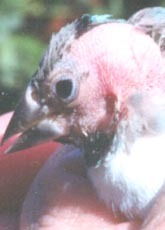 Grassfinches of Australia - In addition to enabling aviculturists to know more about these finches in the wild as a guide to their own husbandry techniques, detailed information on current management practices for all species in captivity is provided. The book also includes color plates depicting some of the more common mutations held in Australian and overseas collections. 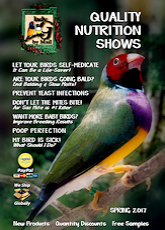 A Guide to Gouldian Finches - Milton Lewis, Dr. Rob Marshall, Dr. Terry Martin, and Ron Tristram. 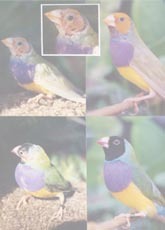 This complete revision features concise information on Gouldian Finches in the Wild and in Captivity, including Housing, Nutrition, Breeding, Mutation and Color Breeding, Health and Disease. Supported by over 330 images, including an extensive selection of mutations. 148 Pages Soft back. 240 Pages, 100 Color plates, based on years of research and experience it is a wealth of information, covering species in the wild and breeding in captivity, health & disease, nutrition, ultraviolet vision, mutations and genetics. 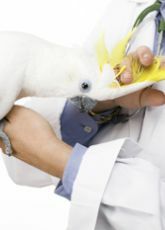 Canary HEALTH - The extensive information presented in this book is an essential reference for those who want to provide the best available care to their canaries. The "self help" philosophy allows readers to learn about the practical requirements of canary health and happiness. Canary Health also discusses in detail the various diseases of canaries and explains their treatment. It allows canary owners to understand why diseases occur and most importantly, how they should be prevented. Hand Feeding & Raising Finches - this booklet will take you step by step through the entire process. Covering topics on making your own brooder to the various methods of feeding the chicks! A must if you have birds that pitch or abandon babies! Microscopic Management of Avian Disease DVD - The microscope helps identify bird illness problems early. Dr. Rob Marshall's Video teaches the correct technique in using the microscope to identify problems early so that a better result is achievable in saving sick birds. 60 minute video. Avian Medicine: Principles and Application - This handy paperback is an informative and affordable reference for anyone with an interest in avian health care. Over 40 chapters including all the basics of bird care, plus Hemotology, Cytology, Endoscopic Examination, Necropsy Examination, Supportive Care and Emergency Treatment, Trauma Medicine, Antimicrobial Therapy, Formulary, Gastroenterology, Hepatology, Nephrology, Pneumonology, Endocrinoloigy, Dermatology, Oncology, Opthalmology, Cardiology, Neurology, Theriogenology, Neonatology, Malnutrition, Viruses, Bacteria, Chlamydia, Mycosis, Parasites, Toxins, Surgical Considerations, and more. Black/white photos and drawings, Pages 809, Paperback, 4" x 8.25"